In occasion of the Casa Milan's opening, H-ART was asked to design and build two products: a web application and Casa Milan live and post experience. UX and UI. Collaborating and guiding a small team of developers throughout the nearly 6 weeks of production. Associazione Calcio Milan is a professional Italian football club founded in 1899 that has spent almost its entire history in Serie A - the top flight of the Italian football. In occasion of the club's new headquarter launch, Casa Milan, designed by the Italian architect Fabio Novembre, H-ART was asked to design and build two products for Casa Milan’s opening: an online application named The Gallery of Champions and Casa Milan live and post experience. 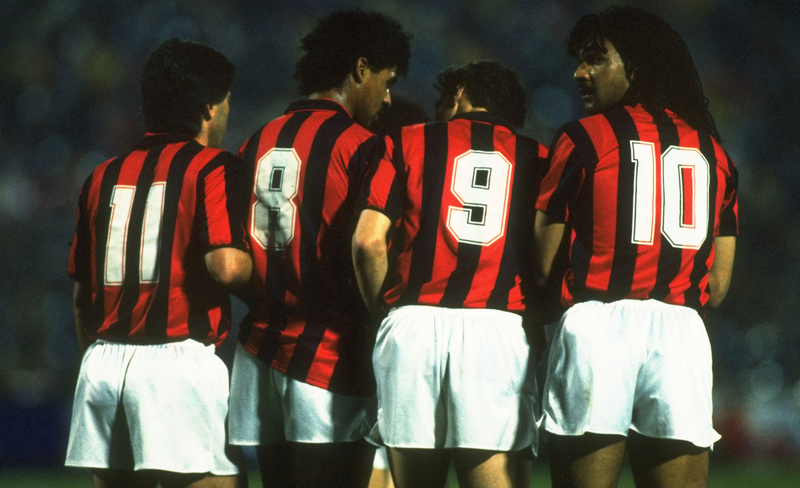 The main goal of The Gallery of Champions, was to expand and engage with the Milan community by letting the supporters explore the history of the football club, vote their favourite players and remember and compare the best moments. 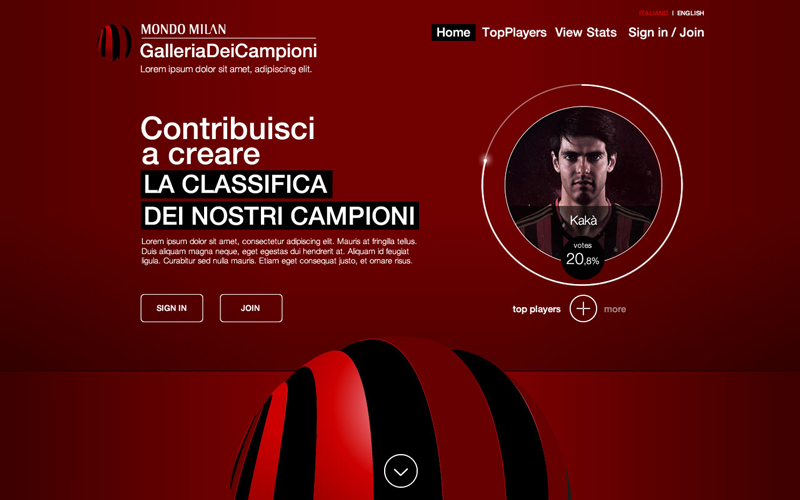 All the online and offline activities used the campaign hashtag #weareacmilan. 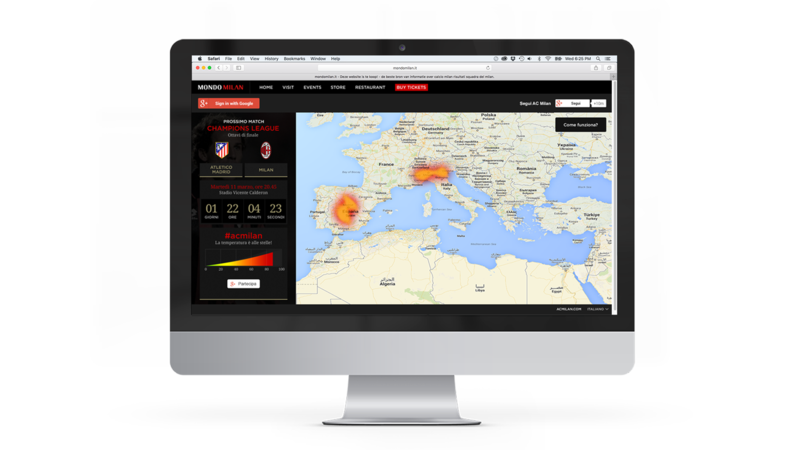 People tweeting with the hashtag could see their tweets on an interactive heat map both on a video wall within the installation at Casa Milan and the website. In collaboration with Google, who led the technical direction, the second product consists in designing and developing the Casa Milan live and post-experience. During the visit, visitors could interact with the museum exhibits with an NTFC wristband. After the experience, visitors were able to explore additional content about the scanned exhibits by interacting with the online post-experience that reflected and brought to life the visit at Casa Milan. The launch was a very successful, with extensive coverage across key press, social media and lots of supporters engagement.